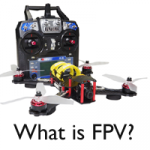 Agriculture Drone: An unmanned aerial vehicle is generally known as a drone. A few years ago, the average person had no idea what a drone was, now, unmanned aerial vehicles or UAVs (also known as drones) have become one of the world’s most publicized and intriguing technologies, used by people in a wide range of professions. Many industries are expected to see a growing reliance on drones, especially transport, infrastructure, agriculture, and security. 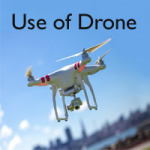 Here we discuss the uses of drone in agriculture of humanity. World’s population projected to reach 9 billion people by 2050, experts expect agricultural consumption increase by nearly 70 percent over the same time period. Food production must increase by 70% by 2050, in spite of limited availability of arable lands, increasing the need for fresh water, agriculture consumes 70% of the world’s fresh water supply, the impact of climate change affecting seasonal events in the life cycle of plants and animals. Farmers always need exact and up to date information on the health of their crops and the environmental condition of the land. Extreme weather changes create additional obstacles to productivity. Drone for Agriculture is important which makes farmers easy to grow and increase productivity in less period of time. 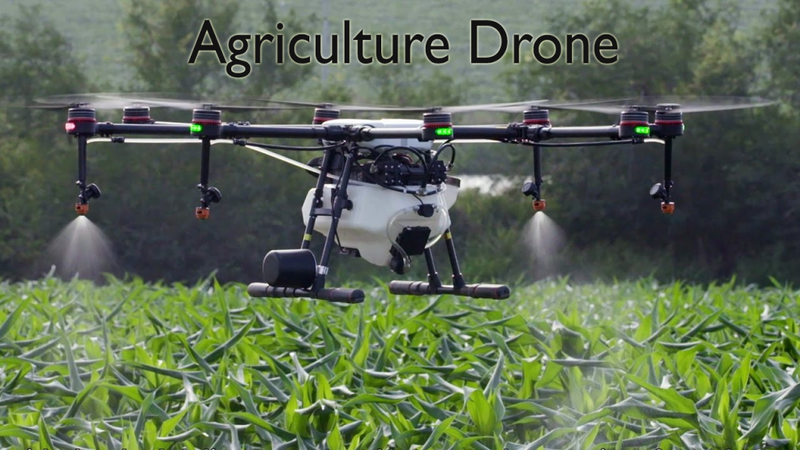 Agricultural drone is a new way to collect all the field level data. Fixed-wing drones have high range flight capacity, which is an advantage to cover a large area. When a drone gathers data over a field, the camera takes many numbers of still images as it flies a “lawnmower” pattern back and front across the field. These images then produced are used to make the results useful which helps in the crop cycle. They produce precise maps for early soil analysis, useful in planning seed planting patterns. After planting, drone-driven soil analysis gives data for nitrogen-level management and irrigation. Using a GPS-enabled tablet, the farmer’s agronomist was able to double-check the results in the field by comparing the observed results with the cropping state on the ground. The Agriculture Drone can plant as many as 100,000 trees in a single day, leaving the formers to focus on taking care of the young trees that have already started to grow. The drone technology works in stages. As a first step mapping drones can fly more than 300 feet above the land, collecting detailed and specific data about the soil quality and topography. An algorithm uses the data to select the best locations for planting the trees and best species for planting. The very next second group of drones, flying certain height over the ground, automatically follows the map in order to plant seeds in custom; to support each species a single Agriculture Drone can carry a different species at the same time. The drones flame the pods rapidly enough to pierce the soil. Spraying pesticides with the help of drones are the modern technology used in agricultural fields. Unmanned aerial vehicle (UAV) has the capability of gathering valuable information and sending the data on a real-time basis. Distance-measuring equipment ultrasonic echoing and lasers such as those used in the light-detection and ranging method enable a drone to adjust altitude as the topography and geography vary, and thus avoid collisions. Drones used to spray exact amount of liquid by scanning and by calculating the distance from the ground and covers all the ground by spraying in real-time. Thus increased efficiency with a reduction of in the number of chemicals penetrating into groundwater. Aerial spraying is five times faster with drones than with traditional machinery. The health of the crop determined with the help of specific optical filters that are present in drones which are used to produce high-resolution images of the crop. The main feature of the drone is its autonomous nature. The operator defines the boundaries of the area with the help of GPS coordinates. UAVs built with special sensors can collect multispectral Neutral Density Vegetation Index (NDVI) and infrared (IR) images. This allows farmers to view the changes in the crop which are invisible to the human eye. Software analysis can be used to change values in order to reflect the specific crop type and even in which stage of life specific crop is in. In addition to crop health, drones can create detailed GPS maps of the crop field area. This allows farmers to better plan where crops planted to maximize land, water, and fertilizer usage. Agriculture Drone with hyperspectral, multispectral, or thermal sensors can identify which parts of a field are dry or need improvements. Drones equipped with thermal cameras can provide excellent insight into irrigation by highlighting areas that have pooling water insufficient soil moisture. These issues can severely affect crop yields and quality. Thermal drones give farmers a better way to understand their field’s through more frequent inspections and surveying. By scanning a crop using visible and near-infrared light, drone carried devices can find which plants are reflecting the different amounts of NIR light and green light. This information produces multispectral images which follow changes in plants and show their health. A speedy response can save an entire firm. These possibilities increase a plant’s ability to overcome disease and in the case of crop failure. Precision Agriculture Drone or Unmanned Aerial Vehicles offer a new toolset to growers and farmers to reduce costs and increase yields by minimizing the use of fertilizer, insecticides, improves the overall health of a plant and crop yield. They have several aspects which can be a great benefit while applying them in agriculture, specifically in the field of precision farming. They can take some monitoring tasks, and have the capability of performing better than the current system. It is based on satellites or human observation, in terms of timelines, accuracy, and repeatability. The advancing technology is working to improve the efficiency of drones in the coming years. Even though the process of imaging, flight planning, post-processing and maintaining the Agriculture Drone will continue a considerable undertaking. To know more info on Best Flying Drone, keep visiting our portal regularly.